, the world’s largest eSports company and the launch of youth media site Goat, earlier this year. "Now, we want to expand that events offering past what we do already in the activations and make it a more mainstream offering," Reay says. Exp will use the assets of both partners to provide advanced live experiences for brands. Reay says it can include anything from its radio stations, digital assets, its own branded websites and podcasting. He says many of the offerings can be bought into play and can be used to amplify and to talk about each event, creating further "traffic and excitement". "It's certainly not one size fits all," Reay says. "Sometimes the amplification may not be what a client wants. It's going to be the bigger clients and bigger events that all want the amplification, but we'll certainly be looking and offering services across the board." Intially housed in Nova's creative agency division, Create, headed up by Kate Murphy, Exp will go head-to-head with pure play events businesses at first, as it looks to develop a foothold in the market by teaming up with current clients. "It will be a phased approach into the market, first we'll grab the low hanging fruit, which for us is to go straight to our current clients and explaining to them what the new offering is," Reay says. "After that, we want to quickly roll that out into new opportunities, new clients, new spends that we don't normally see, which are purely events spends that would otherwise go to those many other events businesses that are out there." Habitat, founder Antony Neeson told AdNews the partnership would provide the agency with a "direct line" to new clients. He says the move felt natural for the team, who had been working with Nova since 2016, as the demand for experiantial events has been on the rise in recent years. "There is a massive hunger for experiential marketing," he says. "It used to lie in the fringes but is now almost on every single marketing plan. There is budget from somewhere - whether it's out of home or radio - put against an experiential campaign." Neeson says both parties are already out in market, following a recent soft launch, and the briefs are coming in 'thick and fast', with half a dozen already coming across Habitat's desk. Positioning themselves as an "ideas agency", he says the business does not own any physical assets, outsourcing the majority of the physical work to a longer-term partner. "Beyond coming up with the ideas and managing the delivery process of the campaign, we own no other assets," he says. 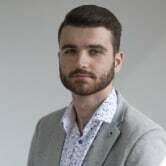 "We outsource to a network of suppliers that we've built up very good relationships with over the last six or seven years, and they help us perform the delivery of these campaigns on behalf of our clients." Neeson says the partnership with Nova will now give the agency the opportunity to grow rapidly, leading to "endless opportunities". "It is actually a hell of a lot of validation for what Mark and I have been building over the last seven years," he says. "For an entity of that size and with the market leadership that Nova has, to approach us and think that we're the guys with the expertise to help them deliver this new service, it's a very humbling and gratifying feeling." Habitat founders Mark Vincent and Antony Neeson. Nova is continuing to diversify its offering by launching a live experience business, Exp. Partnering with creative experiential agency, Habitat Media, Nova will tap into the assets of both entities to create pop-ups, activations and events for existing and new clients. Nova and Habitat, an indepently owned Sydney-based agency launched in 2012 by long-time friends Antony Neeson and Mark Vincent, have enterned an equal partnership, seeing each partner take 50% of the net revenue for each contract. 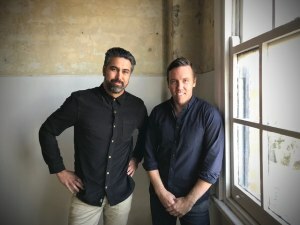 Nova head of M&A, strategy and partnerships Nathan Reay told AdNews that this was an obvious move for the business, which is already known for its own branded live music events, Nova Red Room. He says this is an opportunity to continue the growth into other areas of media, following recent partnerships with with Electronic Sports League (ESL), the world’s largest eSports company and the launch of youth media site Goat, earlier this year.